Sony has finally put a price tag on the massive, multi-million dollar cyber- attack it suffered late last year, but the corporation expects the damage to barely make a dent in its bottom line. Responding to the November 2014 incident that ravaged Sony Pictures Entertainment’s computer system and cost roughly $15 million, the Tokyo-based corporation said on Wednesday in its quarterly earnings report that associated damages may amount to upwards of $35 million. On Wednesday this week, the Tokyo-based electronics company said in a quarterly financial report [PDF] that it now expects to encounter a loss of 170 billion yen ($1.4 billion US) for the fiscal year ending March, 2015 — significantly less than Sony had originally estimated [PDF] weeks before the hack occurred, but more than the 40 billion yen loss reported for FY 2013. If Sony’s latest forecast is accurate, the company will have performed better than an October 2014 prediction by upwards of roughly 60 billion yen — or about half a billion dollars — notwithstanding the embarrassing computer network intrusion that saw sensitive emails and unreleased films, among other data, leaked to the internet in December. The incident, Sony said, delayed the release of the third-quarter report. 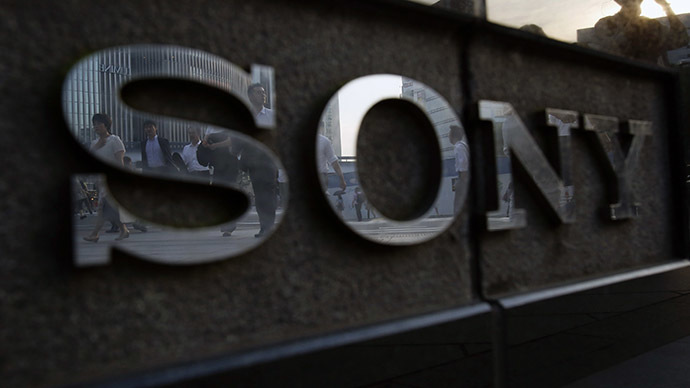 “The current quarter is expected to include approximately 15 million US dollars (1.8 billion yen) in investigation and remediation costs” relating to the cyber-attack, Sony said on Wednesday. Computer World subsequently reported that Kazuhiko Takeda, a senior general manager for Sony, said the grand total could be $35 million for the fiscal year ending March 31. "The figure primarily covers costs such as those associated with restoring our financial and IT systems," a spokesman at Sony's Tokyo headquarters told Computer World’s Tim Hornyak. On Wednesday, Takeda downplayed to reporters any significant impact the hack may have had on the company’s pocketbook. "We don't expect leaks of unreleased films online or damage to our IT systems will cause a significant loss," Takeda said, according to the Associated Press. "We had insurance against cyber-attacks and will be able to recover a significant portion of the costs." US authorities say hackers acting on behalf of the North Korea government entered the Sony Pictures Entertainment network in November 2014 and stole troves of privileged data, including corporate correspondence, personal information pertaining to celebrities and unreleased movies. Hackers calling themselves the Guardians of Peace then issued internet threats ordering Sony to cancel the Christmas Day release of “The Interview,” a comedy film that mocks North Korean President Kim Jong-un, or risk potentially catastrophic consequences. After initially balking, Sony held a limited release on December 24 as scheduled and also made digital copies of the movie available for sale online. “The Interview” ultimately made at least $15 million through more than 2 million digital purchases in its first four days, the AP acknowledged, seemingly covering the cost, so far, of the cyber-attack. Sony last reported a profit in 2013 - 43 billion yen during fiscal year 2012, the first uptake in five years. Results from the October-December 2014 quarter, (when the hack occurred), are expected when the fiscal year ends in March. A surge in sales for the PlayStation 4 video game console is being credited with keeping Sony from being further in the red. "Sony believes the impact of the cyber-attack on its consolidated results for the fiscal year ending March 31, 2015 will not be material," this week’s report reads.